Our outreach team stands ready to assist you in navigating the recent changes in what can and cannot be accepted for recycling. We offer presentations upon request to schools, community groups and organizations. They're approximately one-half hour in length and feature a PowerPoint presentation and discussion, followed by a question-and-answer period. In recent months, we've spoken to the City Club of Ithaca, the Danby Seniors, and the First Unitarian Church of Ithaca. In addition, tours of the Recycling and Solid Waste Center can be arranged for groups of five or more people. 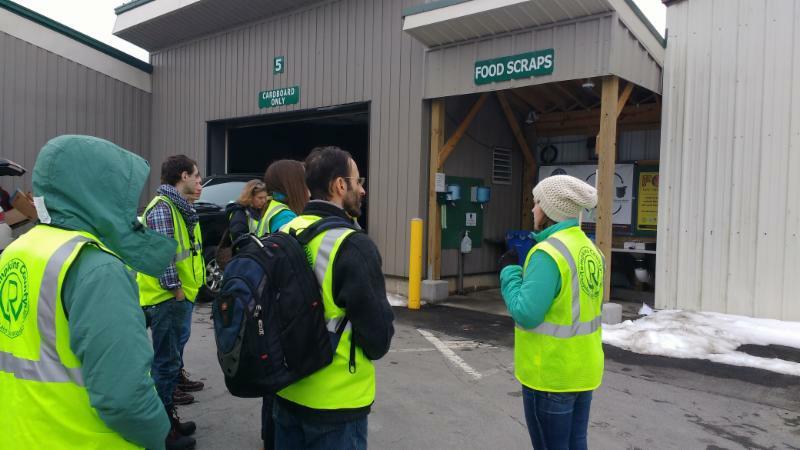 The tours include a view of the recycling process from an observation mezzanine and a walking tour of the additional recyclable drop-off areas. Call our office at (607) 273-6632 or use the " Contact Us " feature on our website to request a tour or presentation. Tompkins County Recycling and Materials Management would like to remind residents that it’s important to recycle correctly. Unwanted items and contamination can cause large amounts of recyclables to be rejected or downgraded. Most importantly, only recycle plastic containers if they are labeled #1, 2, or 5, and don’t try to recycle items that don’t belong (aka “wishcycling”). Sometimes people put things in their recycling bin because they hope they can be recycled. It’s much better to know what’s actually recyclable, and find something else to do with non-recyclables (reuse or trash). Commonly UNACCEPTABLE items include paper coffee cups, plastic bags, padded envelopes, and dirty food containers. If you aren’t sure if an item is accepted, visit recycletompkins.org and use the “ What Do I Do With? ” feature on the home page. 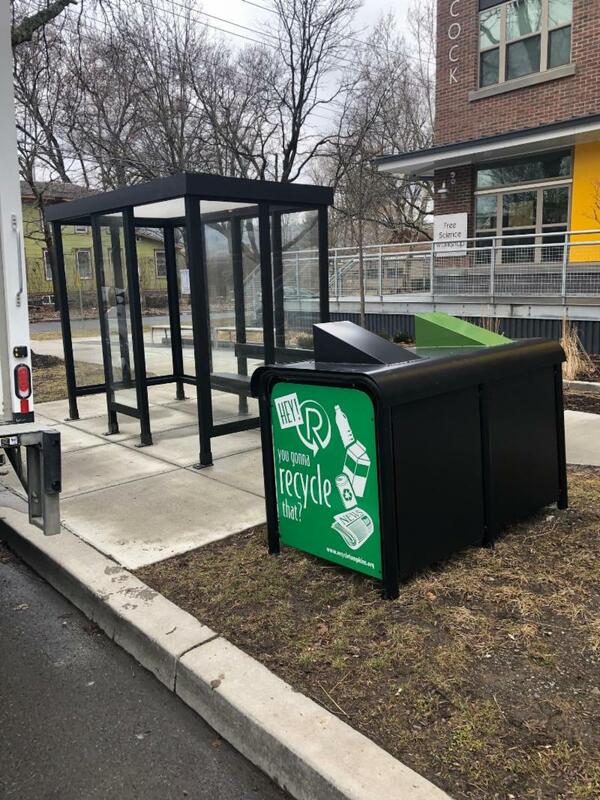 The Department of Recycling and Materials Management recently installed its ninth public space recycling station on Hancock Street in the city of Ithaca. Located adjacent to a TCAT bus shelter, the specially designed bin features receptacles for both single-stream recyclable items and trash. The unit is NOT to be used for household recycling and trash. Tompkins County launched its public space recycling initiative almost four years ago. “Pairing trash and recycling bins along streetscapes and other public settings makes it easy and convenient for residents to recycle while reducing litter” said Nancy Webster, a Waste Reduction and Recycling Specialist for the County. 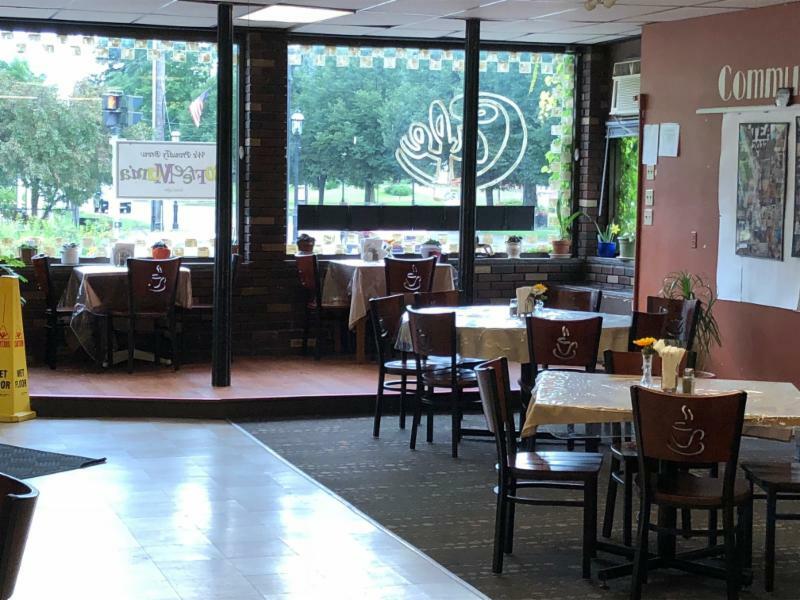 The Dryden Community Center Café is a nonprofit volunteer-run community center, offering a relaxed and welcoming place to gather for coffee, conversation, music and events. The Café initially became a ReBusiness Partner in 2010, but worked with TCRMM staff to reevaluate their practices in 2018. ReBusiness Partners receive a free waste assessment, technical assistance, recycling bins and decals, and signage to help customers and employees recycle right. Stop by the Dryden Café for the “best scones around,” and learn more about the ReBusiness Partners program at recycletompkins.org/rebusiness . The Find My Recycling Day tool automatically adjusts for holidays-- sign up today! You can leave lids and caps on your recyclable containers. They are too small to be recycled by themselves.